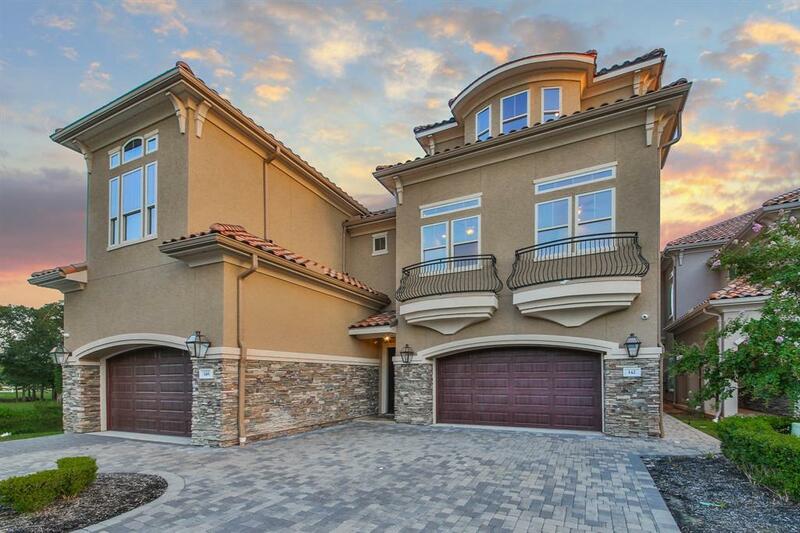 Enjoy the best of waterfront living in this 3-story townhome nestled in the prestigious, gated community of La Vie Villas. With direct waterway access to e Lake Conroe and stunning water views, every day will feel like a vacation. The beautiful stucco exterior, clay tile roof, lush landscaping, and paver stone driveway accentuates the home’s villa style. This 4 bedroom, 3.5 bathroom home is elevator ready and features a gourmet kitchen with finely-crafted cabinetry, living and dining area with wet bar, spacious bonus room, and impressive master suite with a private balcony. You’ll also find state-of-the-art appliances like Sub-Zero, Wolf, and Thermador, plus a smart home system. With an emphasis on outdoor living, the covered lanai with outdoor fireplace serves as the perfect setting to take in the peaceful water views. Situated just 20 miles north of The Woodlands, which features over 150 restaurants, premier shopping, and incredible entertainment.